Without further ado, I’ll turn the podium over to Shipov. Good day to you, whatever the time of day, dear fans and connoisseurs of chess! Let’s look together at the fourth game of the world championship match, which is taking place in Moscow. Yesterday’s battle left an impression — I have the sense that the two adversaries have gotten into playing form. And it seems as if neither one is going to dominate over the other. That’s good! The suspense will build up interest in the match, raise our adrenaline, make us want to follow the progress of the games again and again. At this moment I can only guess what opening variations Boris and Vishy will choose in today’s game… There is no doubt about the move 1. d4!, and the Slav Defense is hardly likely to leave the stage, but which variation we will see can only be predicted by reading the coffee grounds. It’s not out of the realm of possibility that even the participants are vacillating over their decisions this morning. They have no lack of preparation, but which prepared line to play at which moment is a subtle matter. Psychology plays an important role. You have to understand your own condition (if you’re feeling brave you might play a sharp variation, if you’re not sure of yourself it is better to choose a more solid setup), and also you have to guess the condition of your opponent. You have to anticipate the opening strategy of the opposing camp and make an unexpected choice of your own. It’s a whole science! And so it is. The Slav Defense. We are repeating the hybrid variation from the second game of the match. A Meran in the style of Chebanenko. Judging from everything, the champion’s work on this scheme was fundamental, deeply calculated and intended for repeated application. I wonder who will be the first to leave the beaten path? Position after 10. Qc2. Black to move. 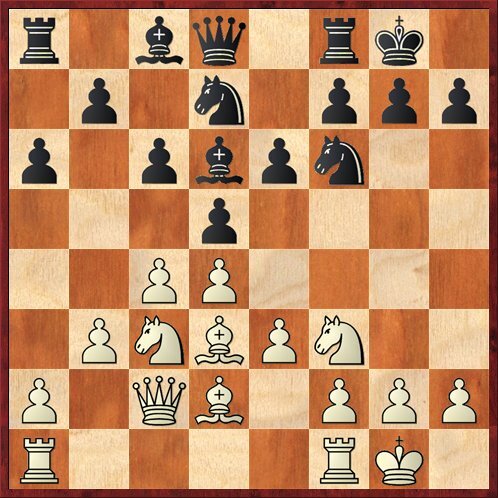 The first direct threat to Black’s rear has materialized — the pawn on h7 is under attack. Position after 16. Rad1. Black to move. Before retreating to b1 with the queen, it’s a good idea to let the queen rook pass through. The coordination and harmony of the pieces is more important than a pawn. With the text move Boris has created a tower of Babylon on the d-file. An attractive setup, dang it! The principled move! There is no sense in further preparations. 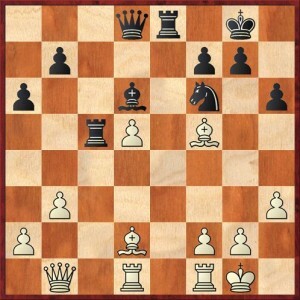 Now the Black knight cannot immediately win the pawn back on d5 because of the threat on h7. Astounding cold-bloodedness! The champion plays as if the pawns were even. Without any hurry he tends his chess garden, plants a few flowers, pulls out some weeds. And he doesn’t trespass on his neighbor. 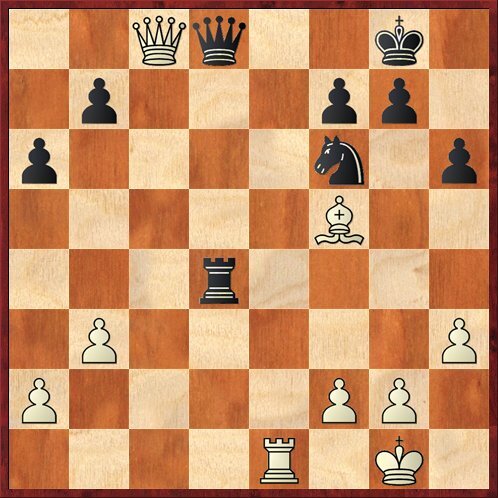 In fact, the pawn on d5 remains weak. As a result of the activity of Black’s pieces it might fall all by itself, like a ripe fruit from a fruit tree. Such an experienced gardener as Anand knows this better than anyone… The time remaining is now 1:18 – 1:51. You’ll agree that this is a serious difference. 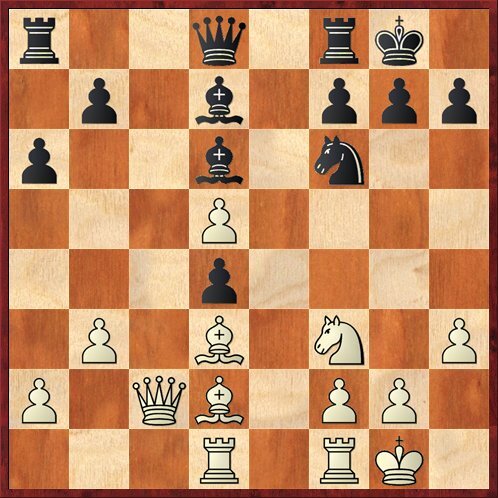 If I were in Gelfand’s shoes I would think about invading on the square f5. For example, with 19. 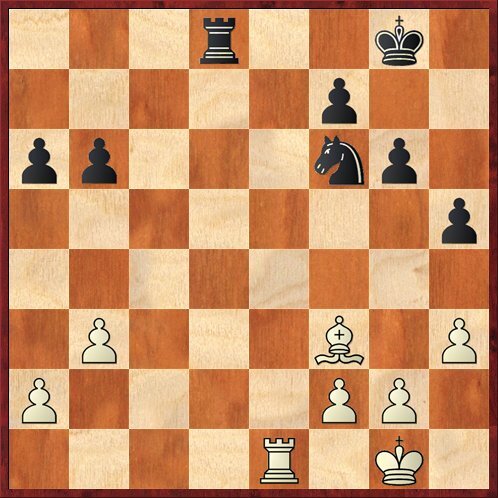 Nf5 there is a chance to achieve the advantage of the two bishops. It’s not a gold nugget, but at least it’s something. There is no point in putting up with this jerk on f5. 20.Bxf5 The two bishops are on the board! Position after 20. ... Rc5. White to move. Black is close to being able to pluck the fruit from its branch. As a result there will be wide open spaces in the center of the board. A well-mown lawn. Perfect timing. At the moment White does not have any direct threats. 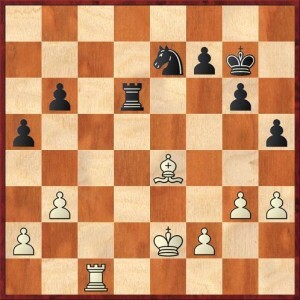 Indeed, the most frightening prospect for Black is the possibility that all of the heavy pieces will disappear from the board, the White king will march into the center, and then the advantage of the two bishops will become a very weighty factor — that is, their ability to put pressure across the whole width of the battlefield and on squares of any color. For that reason Black must strive for active counterplay before the aforementioned endgame arises. From the defender’s point of view it would not be a bad idea to trade off a pair of bishops. And if he could trade his knight for a bishop, that would be completely wonderful. Position after 23. ... Bc5. White to move. Position after 26. Qc8. Black to move. Black opens the window and gives his king some more air. The bishop continues to defend the queen. Its mission is to land on c8. Position after 29. ... b6. White to move. A well-considered reorganization. Black will arrange his pawns and pieces in such a way that they all defend one another, and there will be nothing for White’s bishop to do. White cannot prevent the move … a6-a5 because of tyhe penetration of Black’s rook. With the threat of invading on c6. Even though Black’s defenses are strong, White still has some chances for success. All of the soldiers are defended now. Position after 32. Ke2. Black to move. Apparently Boris is planning an exchange of rooks, reducing matters to a king race. After Ke2-e3 he can play Rc1–c6, opening up the road for his king. I suspect that Vishy is already regretting the fact that he didn’t put his rook on d2. Now there’s no getting there… The champion continues to ponder, and his time advantage is melting away: 0:30 – 0:56. The battle continues. Position after 34. ... Kg7. White to move. And suddenly… What? WHY A DRAW? 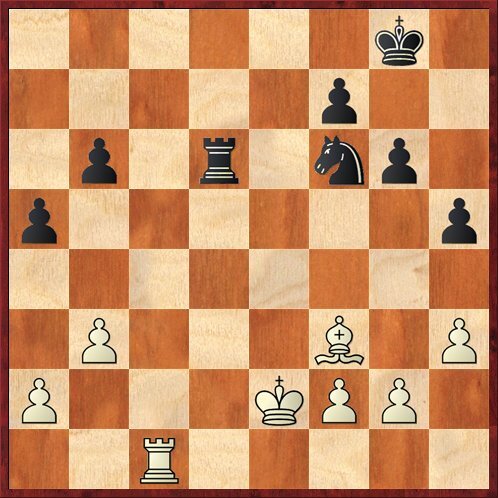 I have to admit that I completely fail to understand Gelfand’s decision [to accept a draw]. There was no risk of any kind for White, and no matter what happens he will retain a small advantage. You might say that he didn’t like the time situation? 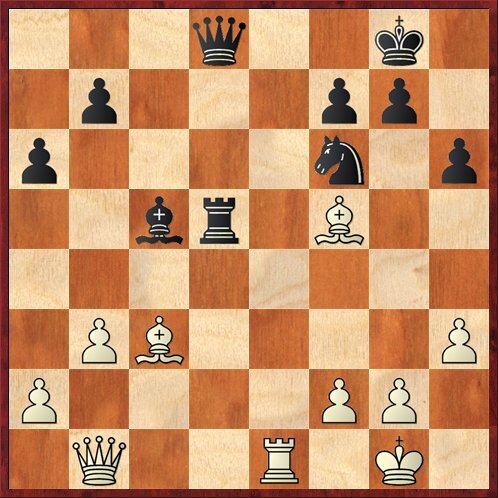 I think that in such a simple position it would not be a problem to quickly make six moves. From the competitive viewpoint the challenger is categorically wrong. One must never let the champion off the hook so easily! If you have any kind of advantage — press on, keep playing, keep trying! If you give him presents like this you can hardly hope to win the match. Thank you for your attention, dear readers. 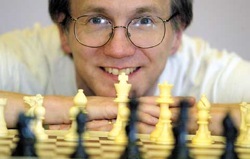 I, grandmaster Sergey Shipov, bid you farewell until the day after tomorrow, when the fifth game will take place. Best wishes. Might you put this up in .pgn? Thanks! 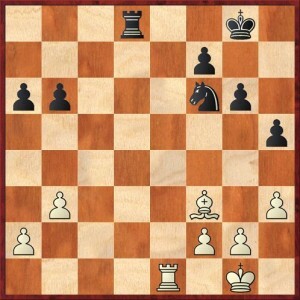 Here you go: http://danamackenzie.com/gelfand anand 4.pgn. In the future I’ll do this with the post. Sorry, the spaces in the file name messed me up. One more time! Click on http://danamackenzie.com/gelfand_anand_4.pgn for the PGN. If it doesn’t work, let me know. Based on their performance ratings after four games, I’d have to say that Boris Abramovich is increasingly favored. Thanks Dana for your wonderful translation of perhaps the best WCC live commentator. Just FYI – there are three versions of the game in the pgn file. Are post-game interview videos posted online?